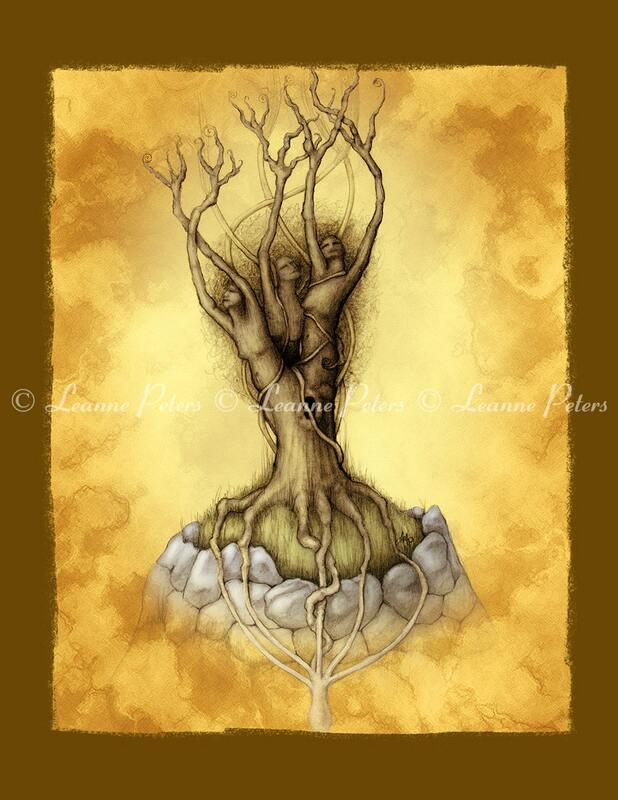 "Sisters of the Wood" is an 8.5" x 11" giclée print is from a graphite rendering that was colorized digitally. Printed with archival inks on Epson watercolor paper, the detail is superb! Beings in trees... trees are beings and full of magick!